It’s a new week and we’ve got interviews, reviews, and more coming up! What geeky things do you all have on tap? Sound off in the comments below! While you decide on that, here’s some comic news and reviews from around the web in our morning roundup. 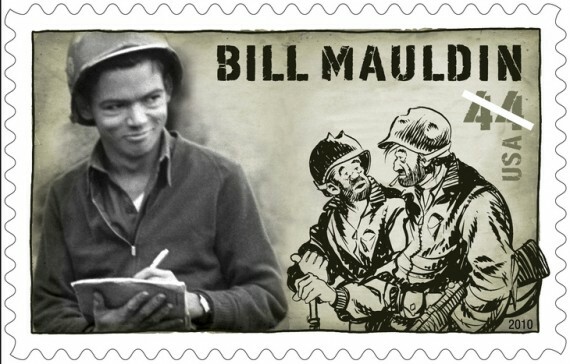 Washington Post – Mort Walker, whose ‘Beetle Bailey’ was a comic-page staple for decades, dies at 94 – Our thoughts are with his friends and family. It was new comic book day yesterday. What did everyone get? The Mary Sue – Natalie Portman Lays Down A Truth Bomb About Female Characters – Good take on the issue. CBR – ‘Beetle Bailey’ falls victim to military budget cuts – A bit shocked this isn’t donated. The Mary Sue – These Are Some Sweet Supergirl Re-Designs – Some cool designs. The Beat – Madefire raises $5.2 million in VC money – Congrats!